Reflecting on practice is an important aspect of nursing. There is widespread acknowledgement of the value of reflective practice and it has a significant role in coursework assessment and revalidation requirements. However, less attention has been given to the various levels of reflection and what constitutes a higher or lower level of reflection. This article aims to assist nurses to understand how identifying the various levels of reflection can improve their practice. 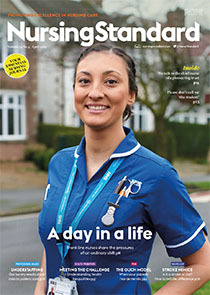 A case study example is used to demonstrate how mentors might support nurses in incorporating reflection into their practice.